Another Nashville Market has come and gone and we have arrived home with bags and bags of wonderful things to share with you. 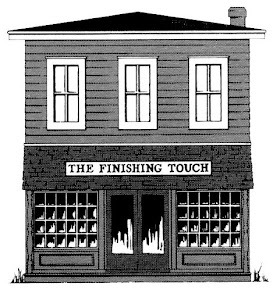 It would take far too many pages and too much of your time to tell you everything, but we will share some of what we have with you here and keep checking the web site and Facebook as we will add photos as we unpack. Market Saturday will surely be a day of wonderful overload as we were fortunate enough to get oh so many Limited Edition pieces. Saturday, February 22, from 10 until 4 is your opportunity to see it all. 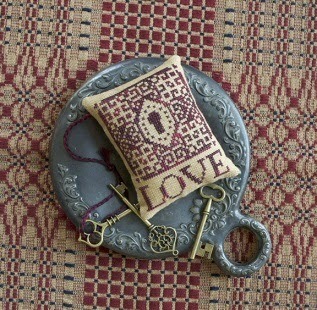 Love Is… from Summer House Stitch Works is a darling little kit which includes everything you will need, including a key. Chessie’s Make Do Sampler from Chessie & Me is a sampler stitched on 3 different pieces of linen and attached to each other after being stitched. How about that! If you prefer, you could always stitch it all on one piece of fabric. 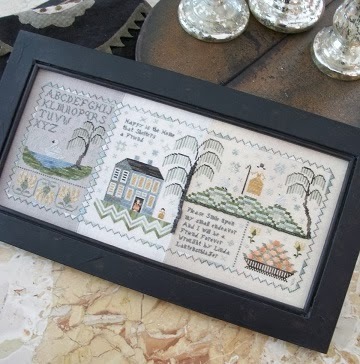 Beautiful sampler, by the way. 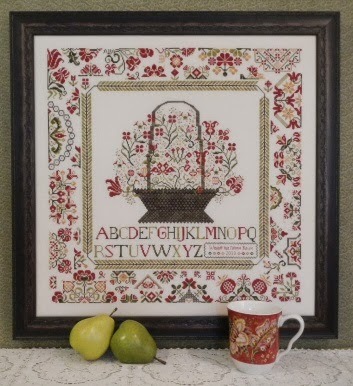 Another beautiful sampler to check out is Cornwall Cottage Sampler from Rosewood Manor. Beautiful basket of flowers and a border of outstanding design. A must see. 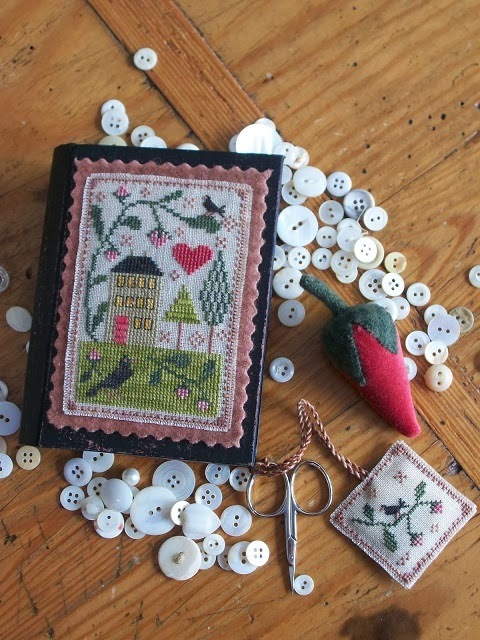 Berry House Stitch Book, also from Chessie & Me, is too cute for words. The finished piece adorns a small box. The most perfect stitcher accessory! 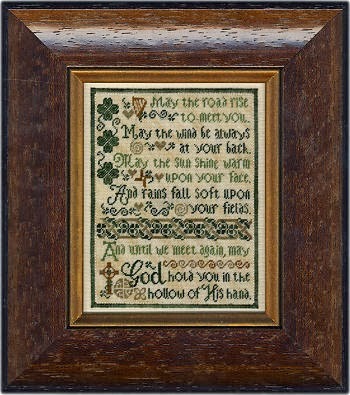 Erica Michaels produced another of her unique silk kits , Old Irish Blessing. Kit includes the 40 count silk gauze. Remember, you can always stitch it on fabric as well. Quite honestly, I have featured only a very few things as they were pulled from the bags carried from Nashville. In addition, there are pieces from Blackbird Designs, Plum Street Samplers, SamSarah, Cherished Stitches, new fabrics, fibers, and others.